K10000’s most attractive feature is its battery. It has been admitted to be sole the owner of largest smartphone battery. This Oukitel phone has greater battery capacity than an equivalent of almost six iPhone 6s’s. That’s serious. Like go-without-charging-your-phone-for-a-week serious! Manufacturer claims 10-15 days normal use. Normal use meaning, light browsing, few calls and dimmed screen. Even if in reality with proper use we get that down to a week it’s still enough to take you back to good old Nokia 3310 times when charging your phone was not one of the 99 problems. Not only that, it also comes with OTG function which allows to charge multiple devices at the same time – saving lives like a superhero. (maybe that’s why Oukitel chose Ironman pictures for their display campaigns). Seriously, having a powerbank within your phone is really cool. It also has a 5.5” display with acceptable aspect ratio. Of course, it is not a full HD display, but the cost of a battery had to be compensated in some cost savings. Regardless, the display quality of this mobile phone is decent, especially for a mid-range device. 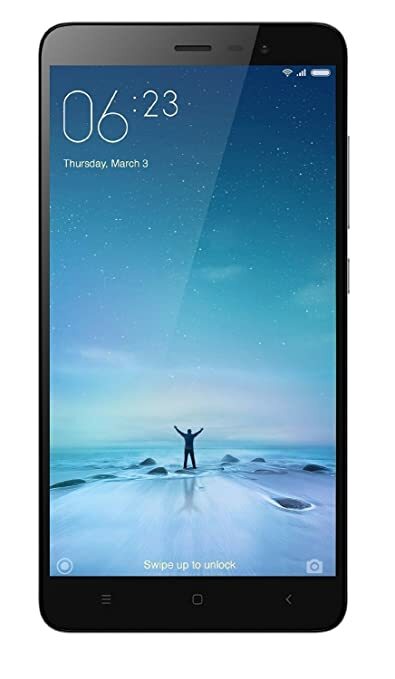 1GHz processor, 2GB RAM&16GB ROM+ expandable memory combined with 5MP front and 13MP back camera (with dual-tone LED flash) sounds too good to be true. However this phone does indeed work smoothly and is well built. One major drawback is its size. Even though its screen to body ratio is at impressive 86%, K10000’s thickness reaches as much as 13.8mm, which is twice as thick as iPhone 6. It also weighs nearly 320 grams. This Oukitel’s chubby child has a size and power of a well fed and trained riding bull – not everyone can ride it. Additionally it comes with all the cables (charger and on the go cable), protective case and even screen protector – those “free” product extras always soften my heart. Customers from poor 3G coverage areas have complained about weak signal, so if you live in a distant area or in the middle of the forest you might want to move down the list for other options. What I like the most about this phone is its design. It has that premium aluminum look. Reminds me slightly of HTC One – it was something else at the time. Honor 5X looks great, but it loses its shine when you pick it up. The superior looking back it not as nice to touch as it may seem at first glance. It is also feels too light for a luxury phone, which of course it isn’t. Appearance is nice and regardless of how light it is aluminum is many times cooler than having a plain plastic back. This smartphone has a rather standard equipment. Don’t get me wrong, what it offers does blow most of competitors out of the water. It even has a fingerprint scanner (not an essential, but certainly a nice-to-have feature considering the price range). Also featured with dual-SIM functionality, which if used heavily would require a battery backup, so keep that in mind. Running 5.1 Lollipop at the moment is slightly outdated, but Huawei promised they would get Android 6.0 Marshmallow. The timeline is not clear on this one though. CPU choice is however slightly disappointing, I would expect something more than Snapdragon 616, considering the biggest competitors are equipped with slightly more powerful hearts. It’s still good, just not as good. Again, similar the rivals seen above – 13MP back and 5MP front cameras. Nothing too impressive, but undoubtedly gets the job done well. Ever heard of Xiaomi Redmi line? Another great budget smartphone manufacturer from China. Budget, not cheap. Number 5 really must mean something in Far East. Lucky number perhaps? In any case, it has become a convention to manufacture 5.5” phones. What makes me happy, that only size, but quality of those big-screened smartphones is outstanding. Redmi Note 3 is no exception. You cannot hate a full HD IPS panel display. But that’s not even the best this phone has to offer. 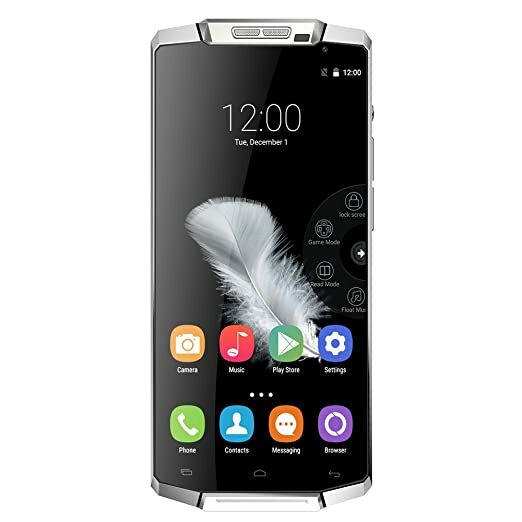 Aluminum body – signature of a premium phone. Unlike the Honor 5X, the one Redmi Note 3 is covered in does not only look good – you can feel that luxury metal cold when in hand. It probably also has to do with the way the back of the phone is shaped. Those curved edges give you a decent grip and seem to naturally stick to my average-size hand. Performance-wise this smartphone is also a sweet treat. No wonder it hit the company’s record sales in India short after launch in 2016. Equipped with a Qualcomm Snapdragon 650 CPU it definitely able to rival with even more expensive smart devices. 2GB of RAM (or even 3GB if you go for a 32GB version) should settle all your needs. It even gives you an adequate gaming experience. That is already doing more than we expect from a smartphone under $ 200. 16MP dual-LED back camera is also a pleasant surprise, which strengthens the statement this big boy delivers. There’s even more small features you would not expect in a low cost phone such as fingerprint scanner, 4000mAh battery (actually not that small of a feature), dual-SIM (interestingly you cannot have both micro SD and a second SIM because of the hybrid card slot). However unless you really are crazy about those tiny cool tweaks I wouldn’t put too much weight on those as they are just the additions. This baby definitely does not fall behind in size 5.5” 1080p (full HD) LCD display is a bargain. The screen is not only big, but also bright, vivid and so dense – you won’t see a pixel. 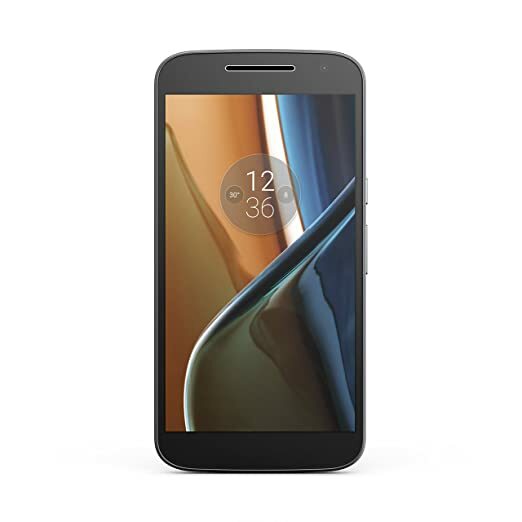 Motorola has done a great job equipping another Moto G family member with such a quality screen – it has absolutely no rivals in the market for the price. Let’s talk camera. G4 has a 13MP camera with a duel-LED flash, all the standard features that come with Android v.6.0.1 Marshmallow including panorama pictures. It is also capable of shooting at 1080p@30fps – when you consider the price tag – it’s great. I mean your pictures will not be of iPhone quality, but this you do not buy a 200 buck smarphone for taking professional pictures, right? Oh and the 5MP front camera will give you a very good selfie experience in daylight (low-light performance is not that great though). 3000mAh battery is enough even for this big boy, especially when running Cortex A-53 CPU, which is extremely efficient with energy usage. Over 20hours 3G talk time and almost 10 hours of video playback sounds promising too. It feels durable even though most of it is made of plastic. G4 does have a metal bezel which adds a feel of quality, but it definitely feels good in hand for a $200 smartphone. Moto G4 has definitely won my heart by being modest yet very powerful phone for the price bracket. Final verdict? Undisputed mid-range champion. 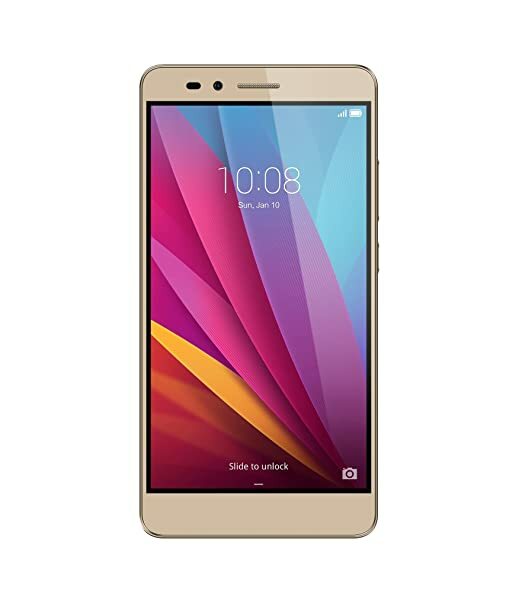 Good smartphone for under 200 dollars? Spending money wisely – that is a concept not everyone seem to understand nowadays. However for those who do try to be money aware it is not that easy either. The reason for that is enormous amount of marketing around us. Goal of a retailer is to sell more and at a higher price. And their presence is everywhere, we see adverts from early morning to late night and there is virtually no escape from it. Most of the advertising we see today is trying to birth a desire within us for things that we didn’t know we needed. Many fall for it, but we won’t. The question remains: can you find a good smartphone for 200 dollars? Ok, not everything is that bad, but the truth is you don’t often see advertising for cheap products, do you? What you see is products with awesome features that justify the high price. Not very helpful, huh? However there is a bright side to this situation. Smartphone brand list does not end with Apple, Samsung, HTC and a few other massive smartphone market sharks. There are plenty of smaller phone manufacturers which offer awesome products for a fraction of the price. The trick here is that since those manufacturers are smaller in size and do not have a significant market share or established and well-known brand names, they cannot charge premium for their products. Even though the price is lower their products often are equipped with the same or even more powerful hardware. That’s a WIN-WIN folks! If you are hunting for a cheaper smartphone you most likely won’t care about fingerprint readers, airdrop, motion and gesture sensors or having a TV remote functionality in your smartphone. All you need is decent essentials. Let’s look at these essentials and judging by them select the best reasonably priced smartphones out there. Afterwards I’ll walk you through my selection of the best value phones in the market. I made sure to include non-standard solutions, but make no mistake – going for less popular brands does not mean worse experience. What are the main characteristics of a good 200 dollar smartphone? When your budget is under $200, there are not many smartphone so ftware options you can choose from. Frankly, you would struggle to find a decent smartphone which runs on anything but Android. But that’s not a bad thing at all. There’s a good reason it is the most popular mobile phone software today. Just make sure it’s not older than version 5.0 Lollipop to avoid any compatibility issues with applications in the future. Having enough of Random Access Memory (or RAM) is very important for your smooth and enjoyable smartphone experience. With latest Android versions and present day apps anything below 1GB of RAM will result in your phone freezing more often and it will only get slower with time and after software upgrades. Of course it must be paired with a capable processor, but generally go for at least that 1GB and if you can find a phone with more RAM, that is definitely a strong plus. It is very tricky to do a decent battery life research of those less popular phones. You probably won’t find many battery performance tests out there for them so you will have to rely on customer reviews and manufacturer quoted numbers (however if you are lucky and your prospective phone is rather popular, check out battery test by GSMArena). Which is still ok, but it means you spending more time reading. 15 hours talk time is the lowest you want to say Yes to. Ideally I recommend to aim for 20 hours and at least good 10 hours of video playback. This way you know you won’t have to be that annoying person asking to charge their phone in public places. Even though you aim at below $200 price tag, this should not mean having lower screen standards. Yes, it is true that you will find plenty of smartphones within this budget which will have low end screens. But there is enough devices with bright IPS LCD screen out there and you should not accept anything worse. Good value for money is not good enough, aim for the best. You also can get a decent screen device. The phones within our price range can go as large as 5.5” and that’s in most cases more than enough for everyday use. Once you have a few favorites picked the final verdict should be based on their benchmark performance. There is a number of various benchmark tests which will give you an idea of how well your chosen devices handle various aspects including CPU, GPU, RAM U/I and U/X performance. If you cannot find anything on the internet with already completed tests, you can easily do them yourself when testing the phone at reseller’s. Some of them such as AnTuTu or Vellamo come as a mobile app which you can download from Google Play store and perform tests on the spot.